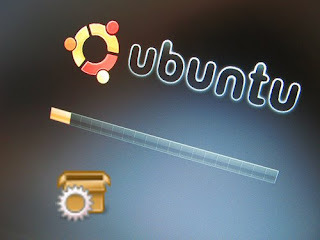 The simplest and safest way to install software in Ubuntu is to use the apt-get. But for it to work you need to know two things - you need to know what do you want to install, and you need this piece of software to be available in your repositories list. Unfortunately, not all software that you may need is available in the default repositories. Usually this means that you need to go and look for a repository - most of the time it is enough just to google the program name, but there is a easier way. You can download a custom repositories list, and then to use it instead of your default one. There are two problems with this method, however. First of all installing packages from not official repositories may break your system. This is especially true when your are upgrading to a new release. The second problem is that some of the repositories use GPG keys. In order to use them you will need to find the keys on your own. This is easy to do, most of the time a search for the repostory name will aso find the correct command for getting the key. Also, I include most of the keys in the file, so you will only need to download them. But this is very time consuming. If this doesn't scare you away - click to download a large Hardy repositories list. Update 2: An even newer list, get it here. Seems many of these repositories are outdated; Synaptic continually gets errors that it cannot find the server. Originally this was a list for gutsy - some of the repositories in it were not updated when hardy was released, so they show up as not found. I didn't want to remove them without waiting a bit to see if they will be updated. I will soon post another list without the outdated repositories. If this doesn't work contact me. Anonymous, you should install the GPG keys. The instruction are in the end of the post. If you already did this, than include the errors you get from synaptic or update manager in your next comment. The following line required a dash at the end to function properly on my install of Ubuntu 8.04 AMD64. Here you find a texual and a video help. I added the latest list from here and installed all the keys, but geole-keyring cannot be found and installed with aptitude. What to do? Is geole outdated? I tried searching for geole, and it looks like it is no longer available. It is probably best to just remove it from the list. The largest jokes of nature..
Ubuntu Hardy is out - what to do now?